Cactus Club (web site) is a chain of really trendy, energetic and fun restaurants with outstanding food. Their location in West Vancouver (at Park Royal Village, 855 Main Street, West Vancouver, BC, phone, 604-922-1707) also features live jazz by the Geoff Peters Trio on selected Tuesday nights. Please call the restaurant to confirm about the live music. Prices for dinner entrees are in the $15-$25 range. I really enjoyed the Steelhead Salmon Entree (pictured below) as well as my favorite snacking items, the Westcoast pockets (also pictured below). The Chicken Jambalaya rice bowl (also pictured below) was tasty as well. 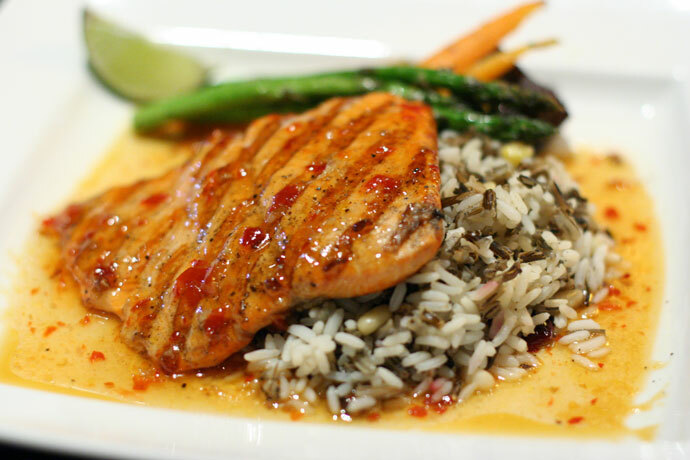 Cactus Club’s Steelhead salmon Entree – grilled to perfection! 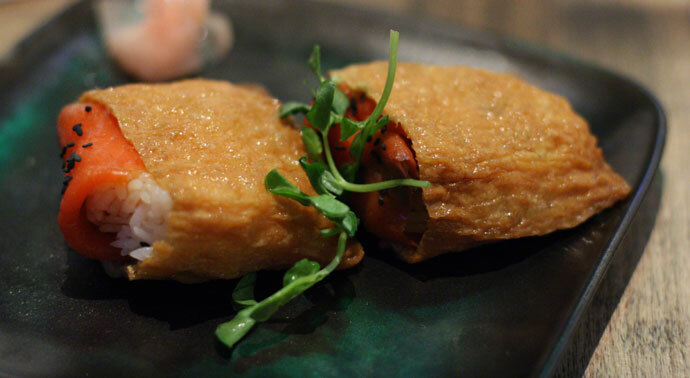 Westcoast pockets – like sushi, but bigger and better. 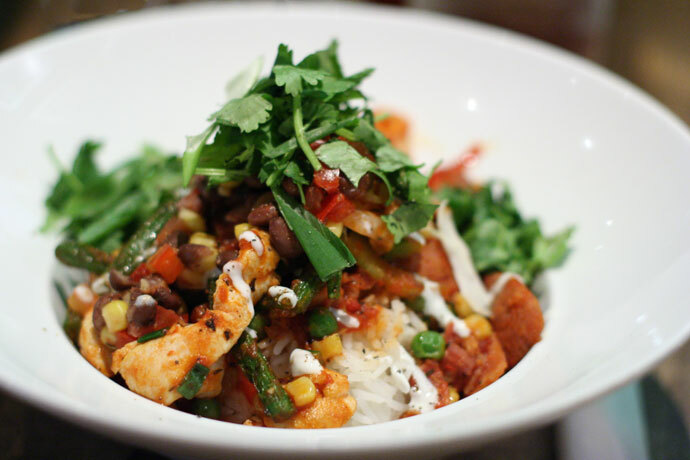 Chicken Jambalaya rice bowl. A colorful melange of ingredients combine for a yummy taste experience. 72,094 views. This entry was posted on Friday, November 16th, 2007 at 8:16 pm	and is filed under Burgers, Cafe, Casual, Celebrities, Chain Restaurants, Chicken, Coffee, Creative Dishes, Entertainment, Favorites, Food Photos, Fun atmosphere, Grill, Hamburgers, Healthy Food, Italian, Jazz, Large Groups, Live Music, Lively, Lunch, Modern Decor, Open Late, Pasta, People Watching, Reasonably Priced, Restaurant, Small Plates, Sports Bar, Steaks, Take Out, Trendy, Upscale, Vancouver, Vancouver Restaurants, West Vancouver. You can follow any responses to this entry through the RSS 2.0 feed. You can leave a response, or trackback from your own site.